Drill multiple size holes with one bit. Drill sheet metal and aluminum without deforming or distorting. 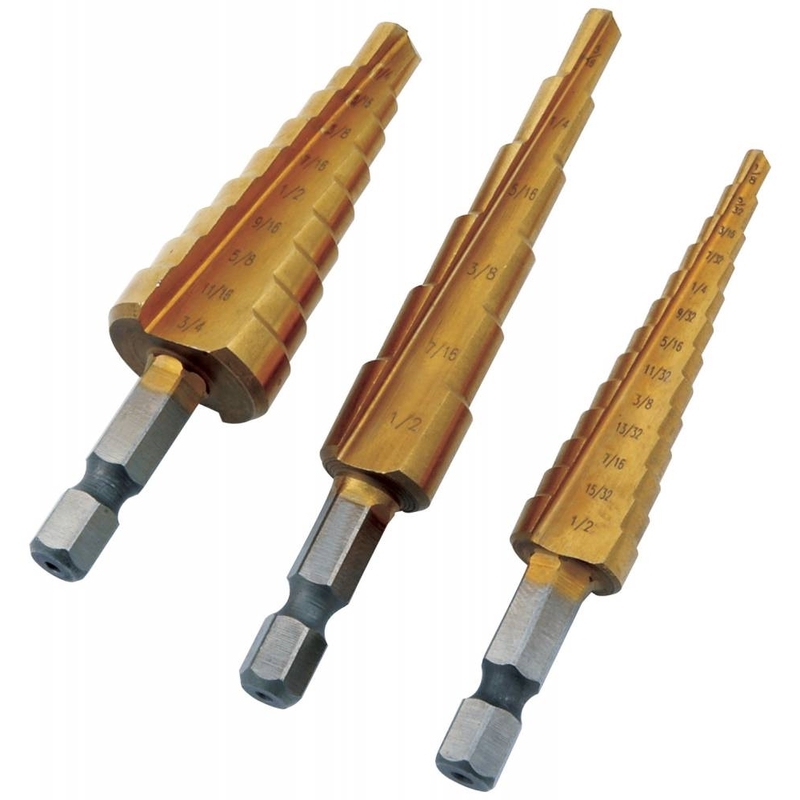 Bits start on contact, deburr and chamfer while drilling and do not require a center punch. Titanium nitride coated high speed steel.